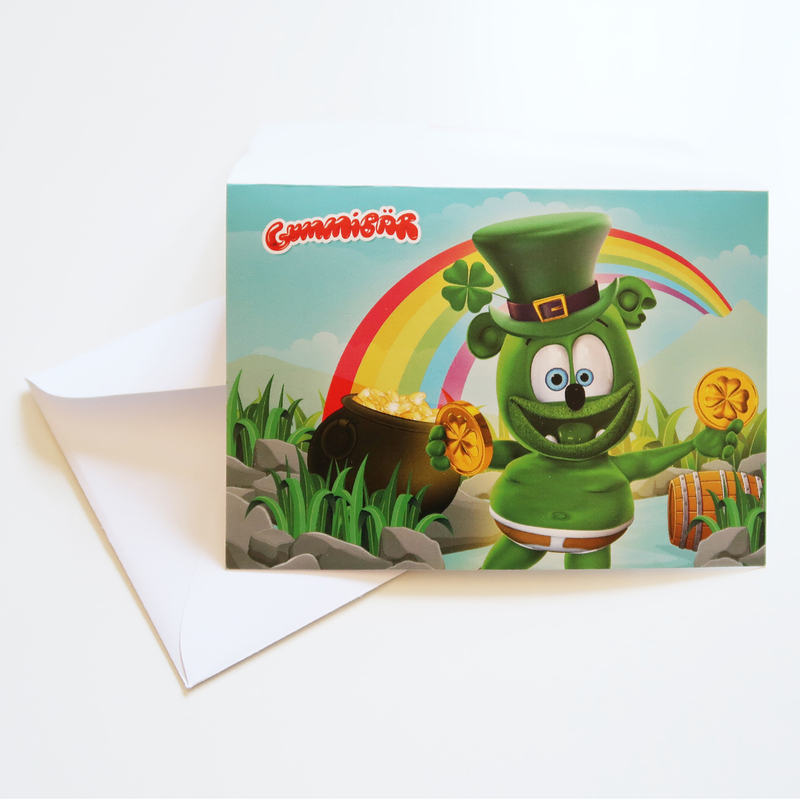 Send friends seasonal greetings with a bright and colorful Gummibär (The Gummy Bear) St. Patrick’s Day Greeting Cards. 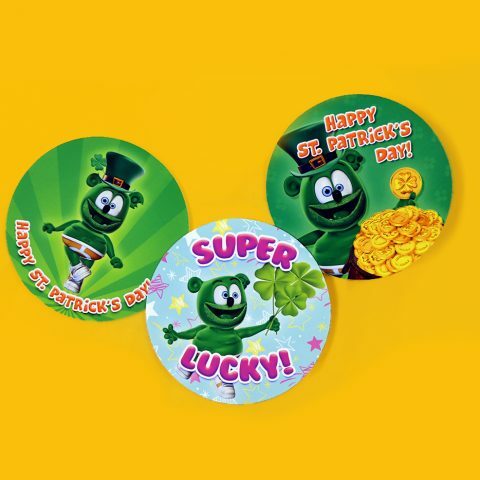 Write your personal greeting, slide in some stickers (maybe even a couple clovers) and you’ve made someone feel super lucky this Saint Patrick’s Day! 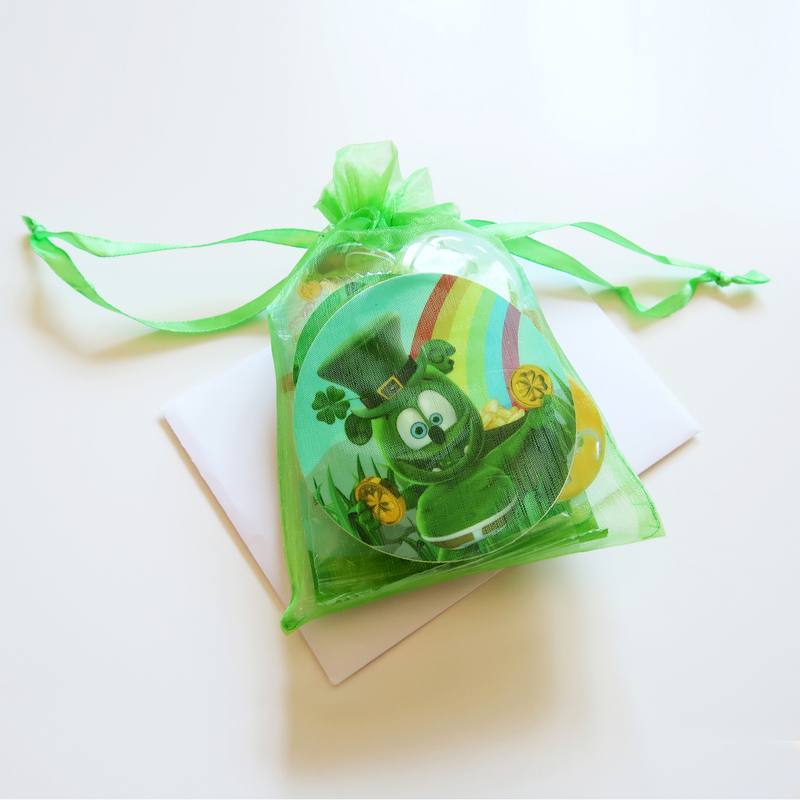 These limited edition cards are part of Gummybearshop.com’s Seasonal Collector’s Series in which we explore a new theme to bring our fans trending products relevant to the time of year. 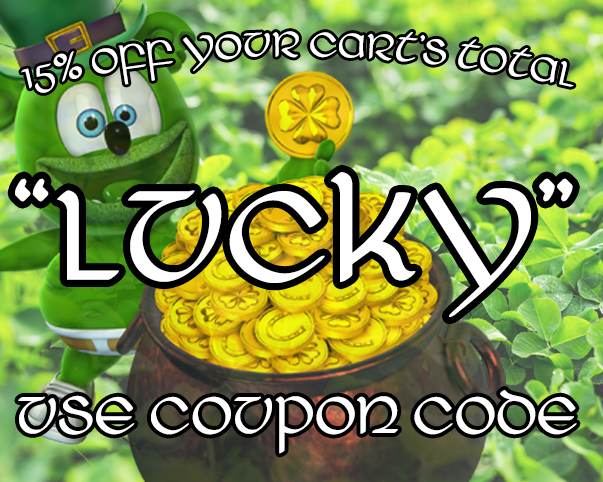 Starting today and everyday until St. Patrick’s Day I’m givin’ all my friends 15% off their cart’s total! No need to search at the end of the rainbow for this gold, all you gotta do is enter “LUCKY” at checkout. I hope you all have a Happy St. Patrick’s Day but most of all… STAY GREEN! Get Free St. Patrick’s Day Stickers With Every Purchase! 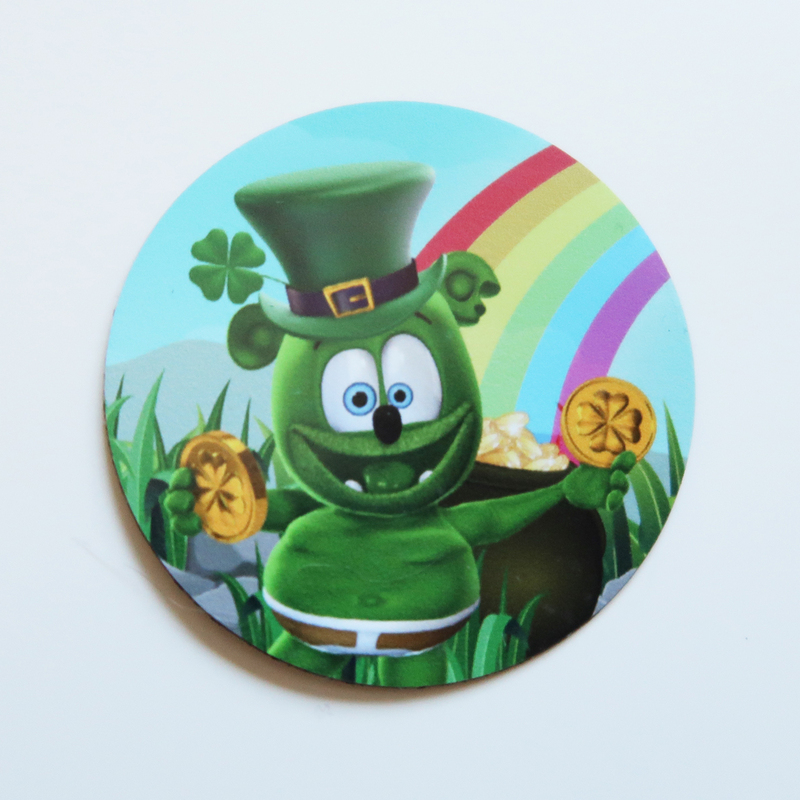 I’m giving away free stickers to every lucky bear that places an order from now till St. Patty’s Day! 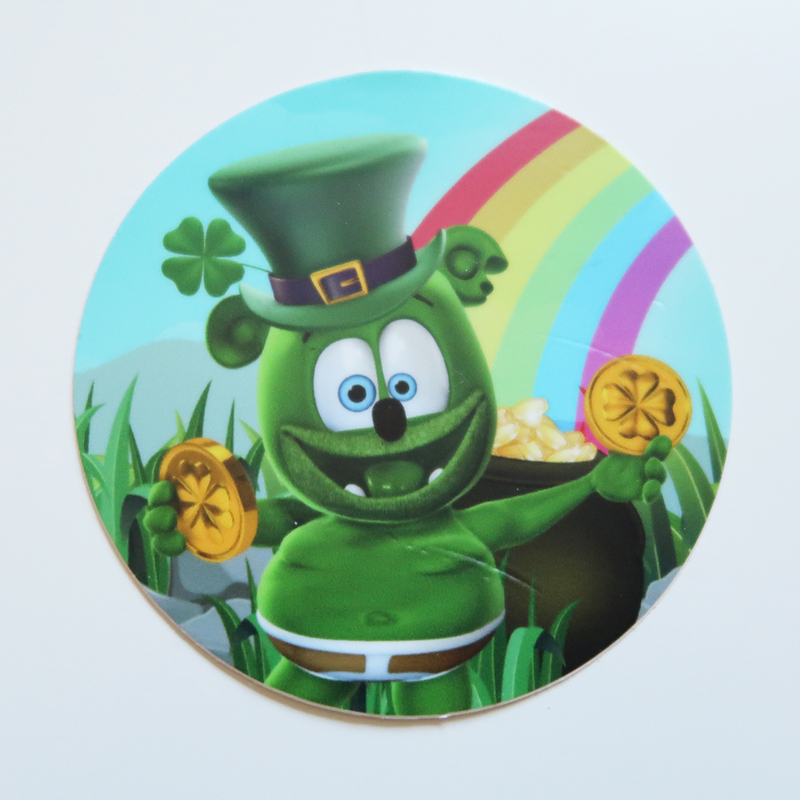 Each purchase from www.gummybearshop.com receives 3 St. Patrick’s Day Stickers and a personal thank you card. These stickers are part of a seasonal line of collectible holiday freebies, so be sure to come back soon and see whats new! Interested in more St. Patrick’s Day Gear? *Stickers available until 03/17/19 or while supplies last. 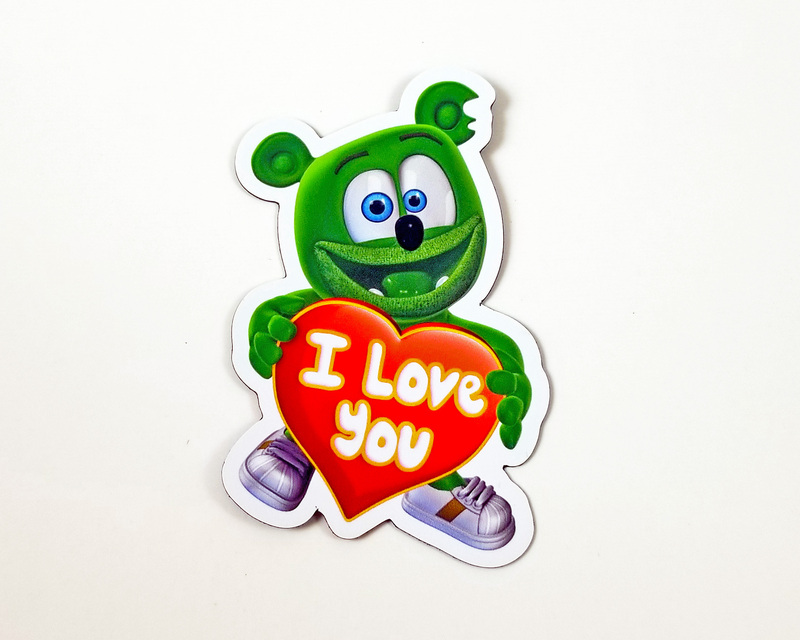 Enter to Win a Free Gummibär “I Love You” Magnet! Everyone knows it’s nice to share, especially with the ones you love…. and I love you guys so so much! I’m giving away 5 Gummibär (The Gummy Bear) “I Love You” Magnets everyday from today (02/12/2019) till the end of Valentine’s Day. 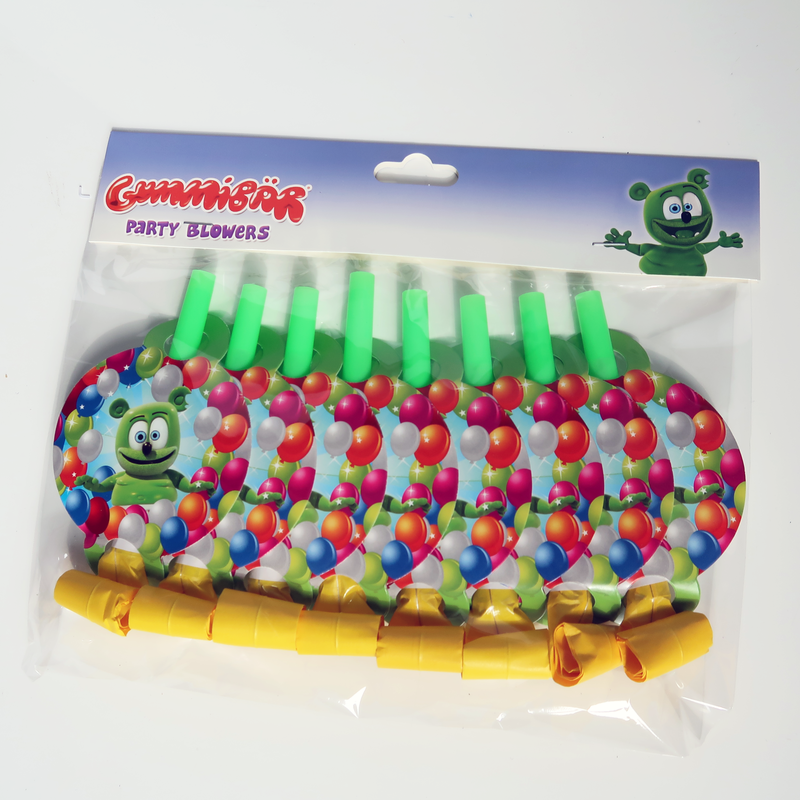 (That’s a total of 15 lucky Gummibär fans!) It’s free and easy to sign up, I hope you win and have a Happy Valentine’s Day! 2. Fill out the entry form below. Giveaway is open until Thursday, February 14th 2019 @ 3:00 PM . 5 random winners will be selected each day of the giveaway and notified via email. The winner has 48 hours to respond to the email and claim their prize. Any prizes not claimed within that time frame are automatically forfeited and a new random winner will be selected. Prize will be mailed out within 2 business days of response. 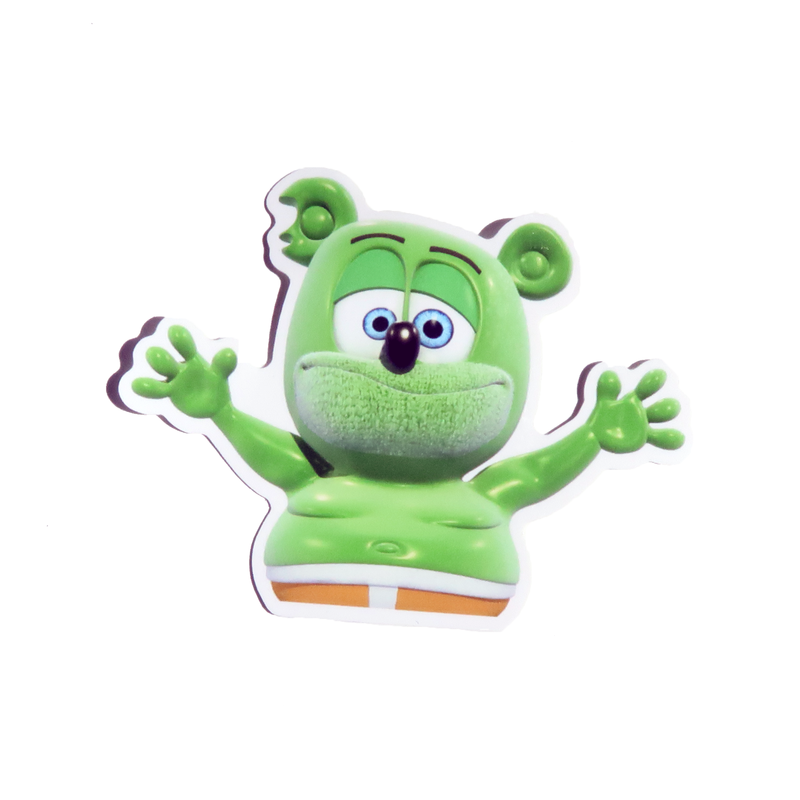 If you don’t want to take your chances with the giveaway (The Gummy Bear) “I Love You” Magnets are available for purchase on our shop by visiting the link below. 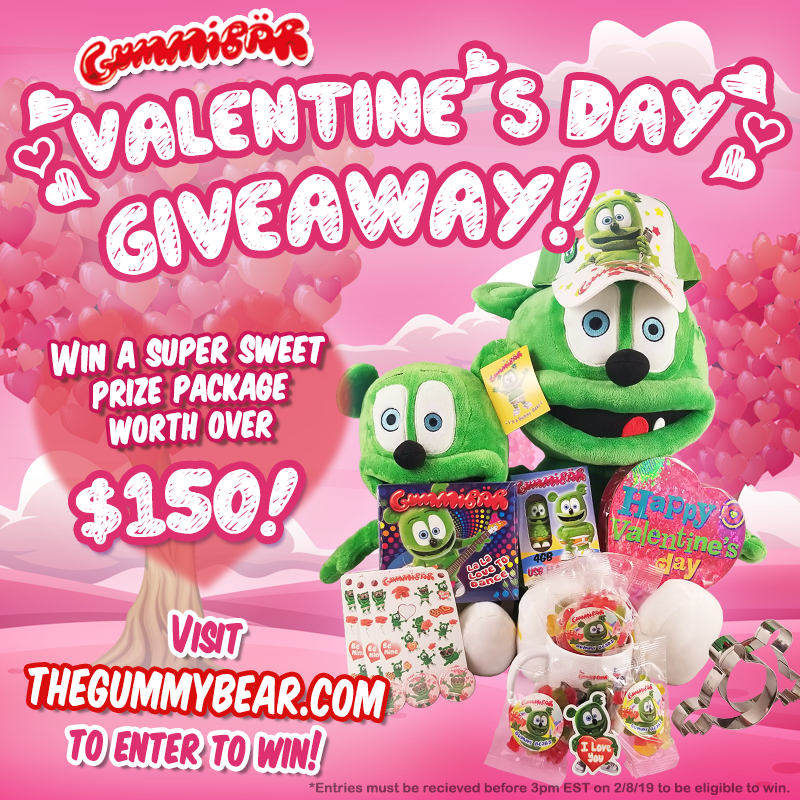 Enter to Win the 2nd Annual Gummibär Valentine’s Day Giveaway! I thought it would be nice to share the love this winter so i’m doing this sweet giveaway! This Valentine’s Day i’m gonna pick one funny lucky winner to take home a prize package worth more than $150! 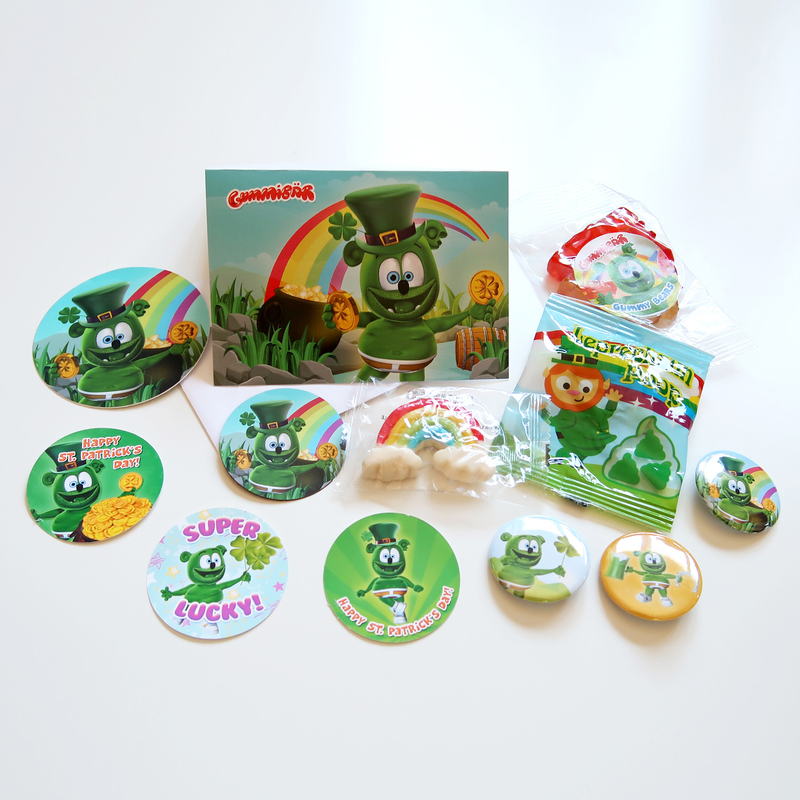 There’s plush toys, candy, stickers, and a whole bunch of lovely gummi gear. It’s free to enter and easy to sign up, I hope you win! Giveaway is open until Friday, February 8th 2019 . 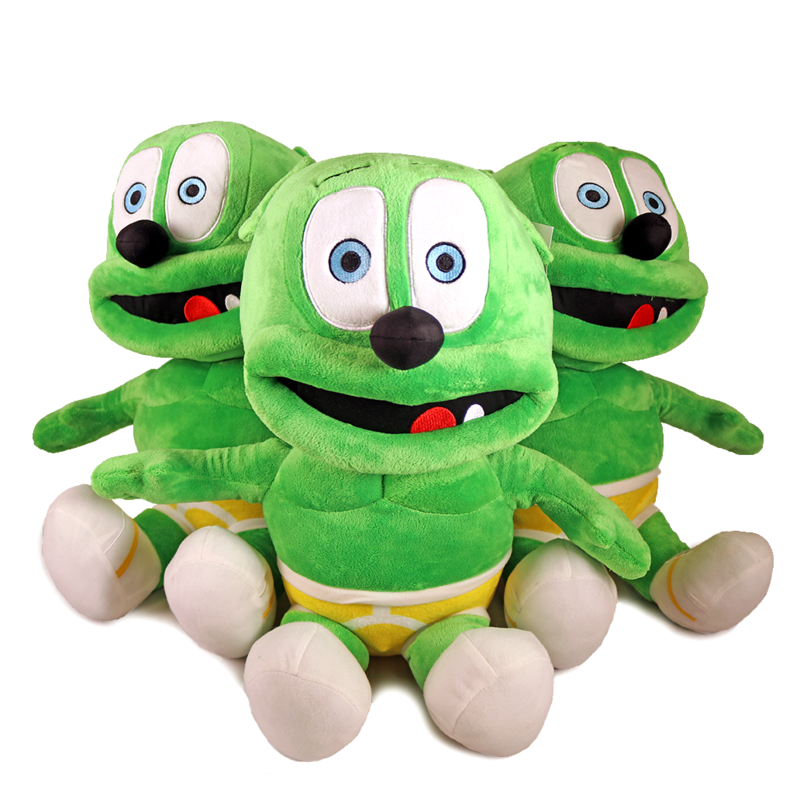 One lucky random winner will be selected within 24 hours of the end of the giveaway and notified via email. The winner has 48 hours to respond to the email and claim their prize. Any prizes not claimed within that time frame are automatically forfeited and a new random winner will be selected. Prize will be mailed out within 2 business days of response. 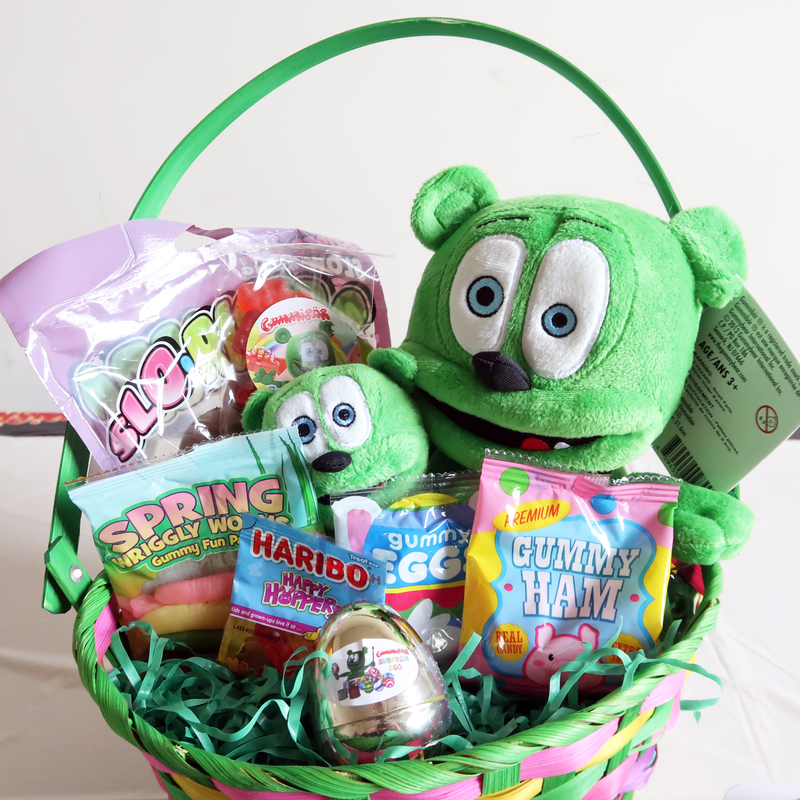 For more information on any specific item featured in this giveaway, visit the links below. 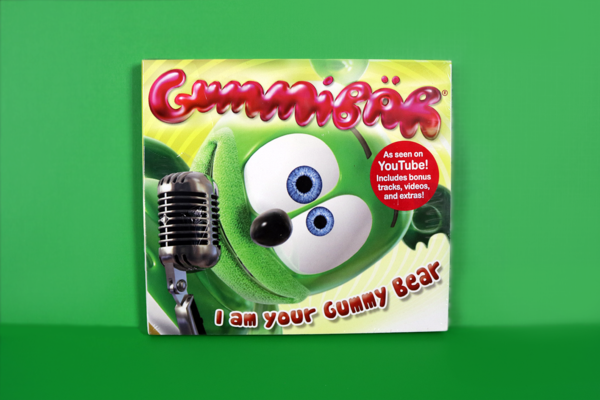 The very first episode of Gummibär and Friends: The Gummy Bear Show SEASON TWO premieres TOMORROW!! 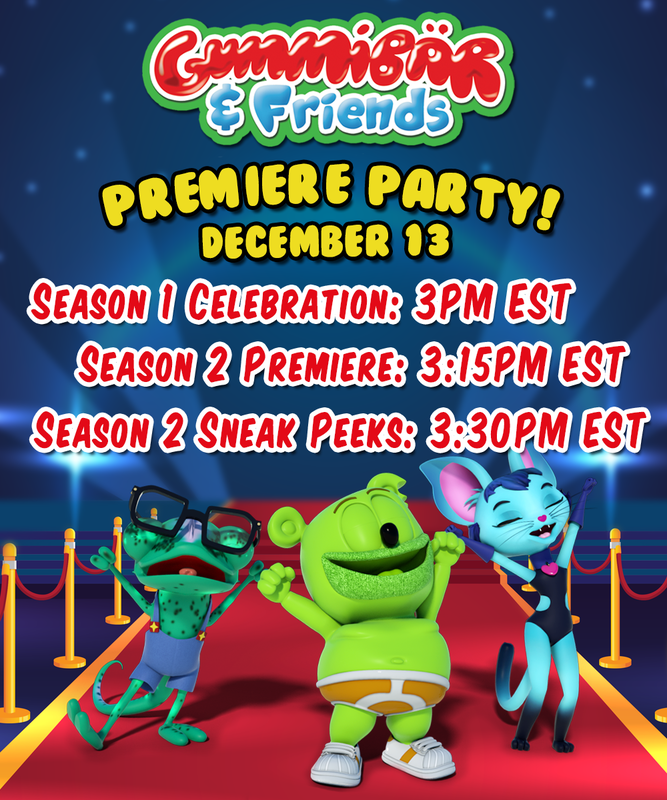 Join us for the Premiere Party at 3pm Eastern Time on the Official Gummibär Channel on YouTube. 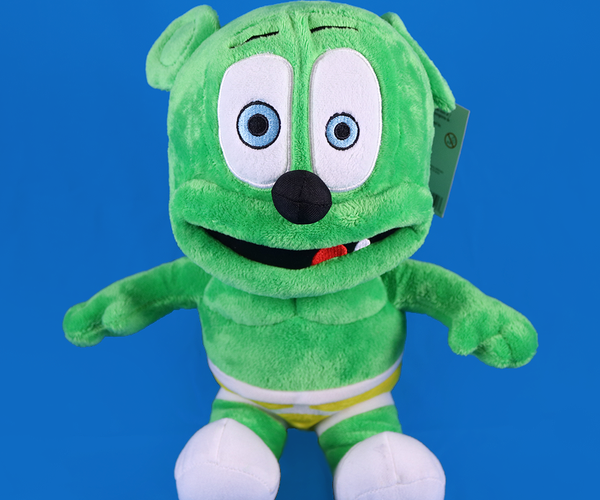 Make sure you’re subscribed to the Gummibär YouTube channel to be notified about all new videos, live streams, and community posts. At 3pm, we’re celebrating Season One. At 3:15pm, the FIRST episode of Season TWO makes its world-wide debut! At 3:30pm, we’re going to take a look at some sneak peeks of upcoming Season Two episodes. It’s going to be so much fun! You don’t want to miss this! 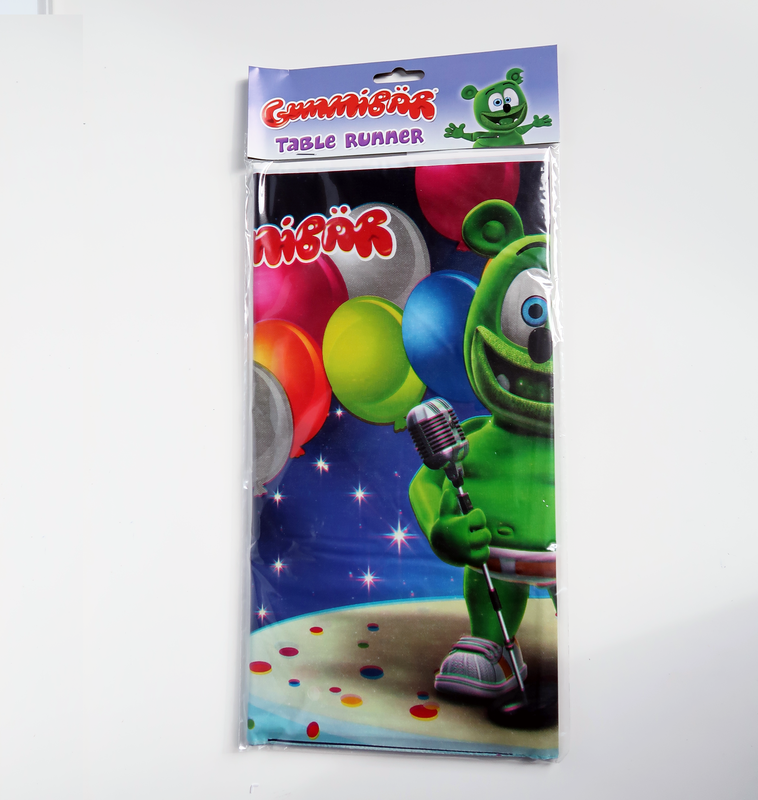 Enter to Win the 6th Annual Gummibär Christmas Stocking Giveaway! The Sixth Annual Gummibär Christmas Stocking Giveaway has begun! We are extremely excited to give away a prize package worth more than $200 in our 2018 Gummibär Christmas Stocking Giveaway (Our biggest giveaway of the year!) Make someone’s Christmas truly spectacular with this amazing prize!